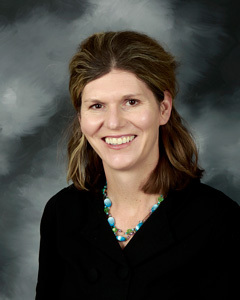 Dr. Emma S. Norman is a political and environmental geographer interested in questions related to water governance, borders, and political ecology. Her work investigates how flow resources, such as water, are governed across political jurisdictions and the politics associated with the construction of these boundaries. In addition, her work on water security seeks to link ecosystem health with human health through models of adaptive management. Dr. Norman is a long-time collaborator with the PoWG. As a graduate student in the Department of Geography (UBC), she worked with PoWG on transboundary water issues, while a postdoctoral fellow with the PoWG (2009 – 2011) she contributed to work on the Canadian Water Network-funded water security project. Dr. Norman remains active with PoWG activities, including ongoing book projects with colleagues Dr. Alice Cohen and Dr. Karen Bakker ( Water without Borders? Canada, the U.S. and Shared Waters , U. Toronto Press) as well as a book related to Water Governance and the Politics of Scale ( Negotiating Water Governance: Why the Politics of Scale Matter , Ashgate). In addition, she continues to work with Dr. Leila Harris and IRES MS student, Rosie Simms on the WEPGN-funded project that explores drinking water quality and water governance issues for BC First Nations. Dr. Norman recently joined the faculty at Michigan Technological University, where she is an Assistant Professor in Geography with the Environmental and Energy Policy Program (Department of Social Sciences) at Michigan Technological University. She is also a research affiliate with the new Great Lakes Research Center, located on the shores of Lake Superior. As part of her work, Dr. Norman has worked closely with First Nations and Native American communities in the Salish Sea Basin region for over a decade on issues related to water rights, self-determination, and protection of sacred water sources. She is now also working in the Great Lakes context, linking goals of water protection and self-governance for tribal communities. Dr. Norman has published in a wide range of journals including the Annals of the Association of American Geography , Geoforum , Water Alternatives , Water Resources Management and AREA . She also translates her work to wider audience through the policy reports, briefing papers, and grey literature, and is a regular contributor to the United Nations’ Global Water Forum. Norman, E.S. 2013. Who’s counting? Spatial politics, ecocolonisatin, and the politics of calculation in Boundary Bay, AREA (Royal Geographic Society). 45(2): 179-187 DOI: 10.1111/area.12000. Norman, E.S. Water. Annotated Bibliography of Geography. Oxford University Press. Norman, Emma S., Cohen, Alice Bakker, Karen (eds). 2013. Water without Borders? : Canada, the U.S. and Shared Waters. Toronto: University of Toronto Press. Norman, E.S. Indigenous space, citizenry, and the cultural politics of transboundary water governance. United Nations Global Water Forum, Discussion Paper 1248 November 2012. Norman, E.S., Bakker, K. & Cook, C. 2012, Water governance and the politics of scale: How thinking critically about scale can help create better water governance GWF Discussion Paper 1226, Global Water Forum, Canberra, Australia. Norman, Emma Karen Bakker, and Christina Cook. 2012. Introduction to the Themed Section: Water Governance and the Politics of Scale. 5(1): 52-61. Norman, Emma. 2012. Cultural Politics and Transboundary Resource Governance in the Salish Sea. Water Alternatives 5(1): 138-160. Norman, Emma, Dunn, Gemma, Christina Cook, and Bakker, Karen. 2012. Working towards Water Security: Fostering Good Governance Practices through Adaptive Governance in K. Bakker and D. Allen (eds) Water Security Guidance Document. Vancouver: Program on Water Governance. Dunn, Gemma, Norman, Emma, and Bakker, Karen. 2012. Water Security Status Indicators (WSSI) in K. Bakker and D. Allen (eds) Water Security Guidance Document. Vancouver: Program on Water Governance. Norman, Emma, Cohen, Alice, Bakker, Karen (eds). June 2012. Hotspots and Collaboration: How problems can inspire innovative solutions. Water Without Borders? Briefing Notes . Vancouver: Program on Water Governance. Emma Norman with Karen Bakker, Christina Cook, Gemma Dunn and Diana Allen. 2010. Water Security: A Primer (Policy Report). Vancouver, BC: UBC Program on Water Governance. Norman, E. S., Carr D. 2009. Rio Summit in Kitchin R, Thrift N (eds) International Encyclopedia of Human Geography I , Volume 9, pp. 406-411. Oxford: Elsevier.